How Do You Spell OR? 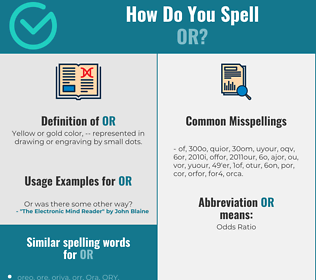 Correct spelling for the English word "or" is [ˈɔː], [ˈɔː], [ˈɔː]] (IPA phonetic alphabet). 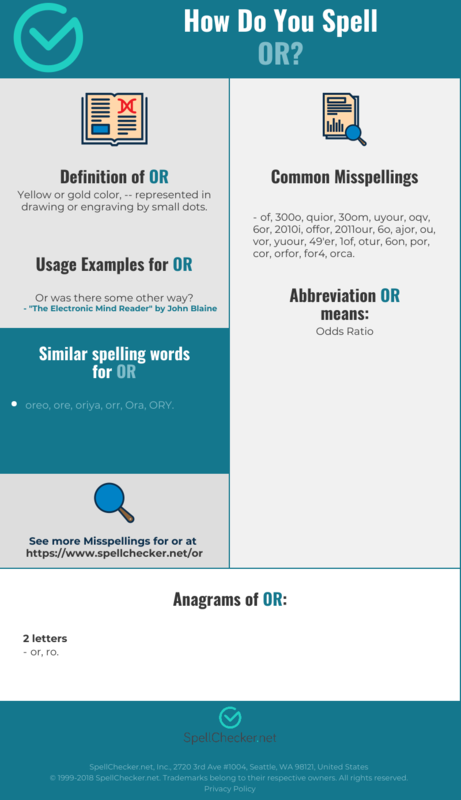 Below is the list of 306 misspellings for the word "or". Yellow or gold color, -- represented in drawing or engraving by small dots. What does or stand for?